Another Brazilian beauty for you today! Jade holos have caused a not-so-small stir in the nail world recently, and it is easy to see why! 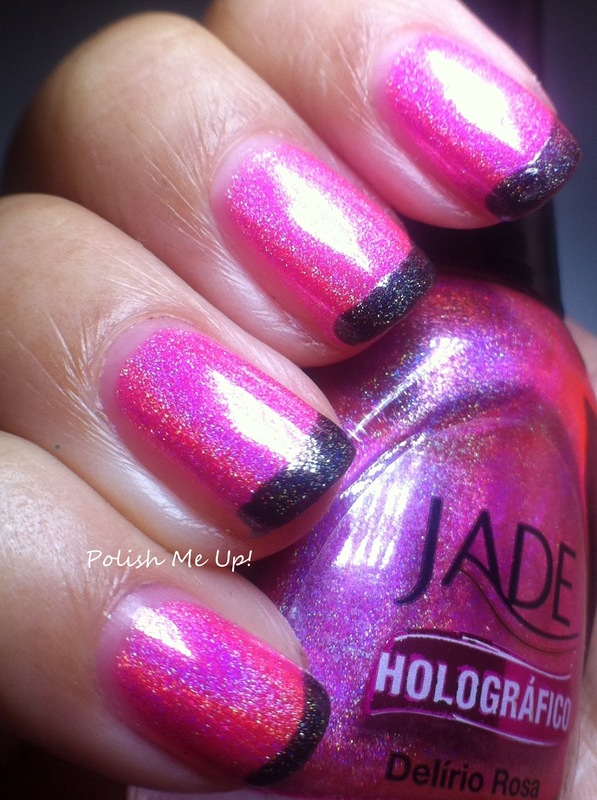 Prominent linear holo effect, interesting shades, easy application, no wonder everybody is raving about these Jades! Delirio Rosa is a vibrant pink holo. Although there are many pink holos out there, I can't quite think of a dupe! Since I hardly wear bright pink color, I decided to do a French funky tip with a black Jade holo, Magia Negra, to give this mani a (literally) cooler edge. I hope you like the result!